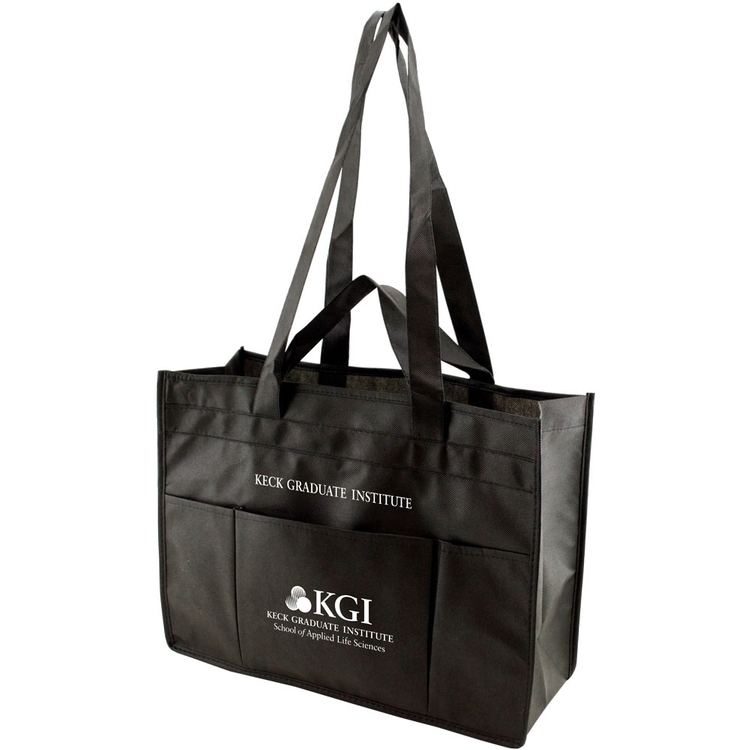 This stylish two-toned tote comes with a dual handle, making it very practical. 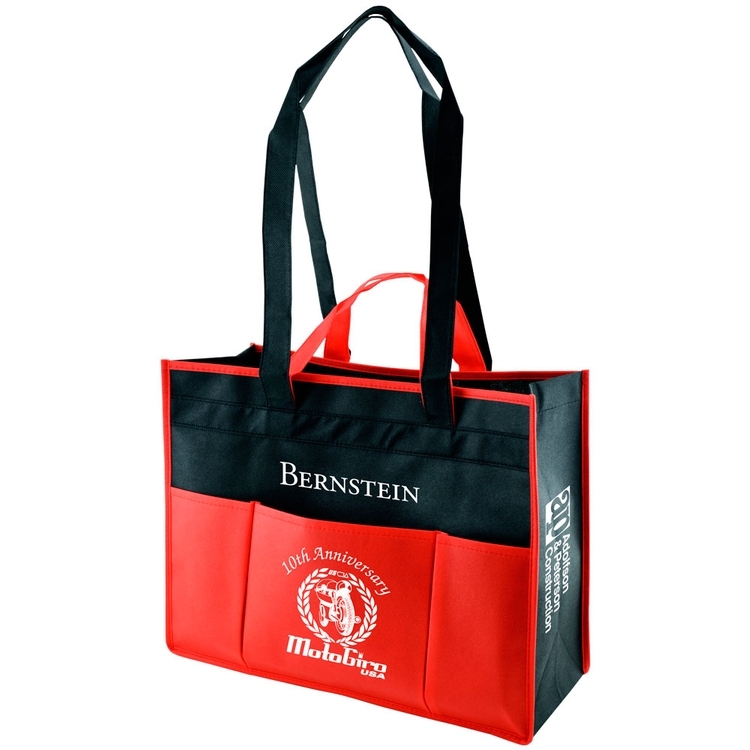 The multi-pocket tote features three individual and two large, slant pockets on the back. 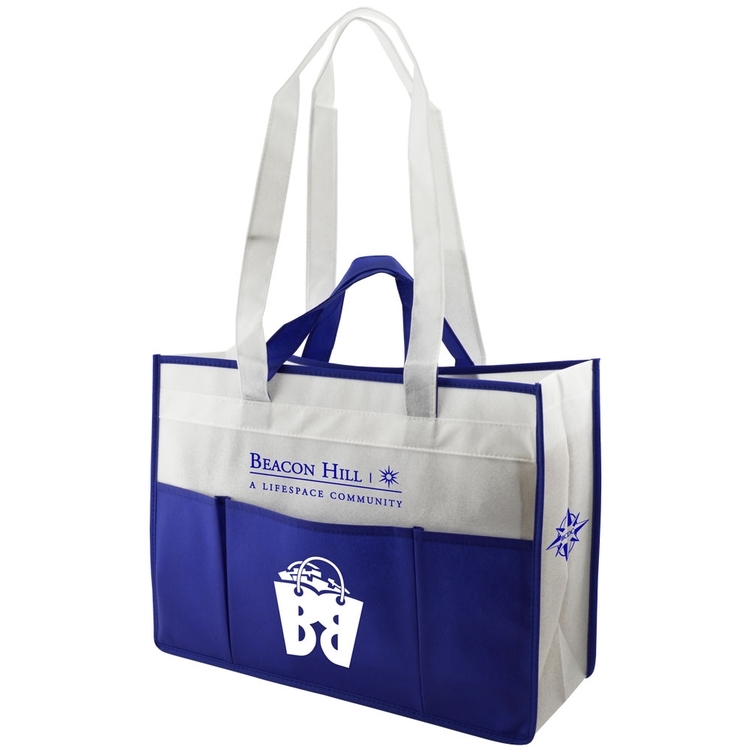 Made with 100 GSM premium non-woven polypropylene, this eco-friendly tote is perfect for schools, non-profits, library programs and much more. Bag measures 16" x 12" with 6" gusset. Available in 3 colors and sold per case of 100. Product must be ordered in units of 100. Production time detail: 4 business days after final artwork approval, plus delivery time. (Only Color Magic orders have a production time of 7 business days, plus delivery time.). Price Includes: Price includes 1st color 1st location run charge only. Setup charges are additional. Priced per Case. Sold per Case.